Yay tax day!! Said nobody ever. PLANET FITNESS: Members AND non-members can use their hydromassage chairs if you print out this coupon. 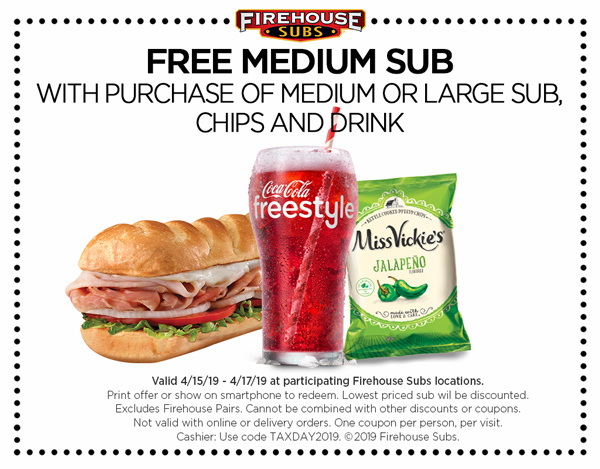 FIREHOUSE SUBS: Get a free medium sub with the purchase of a medium or large sub, chips and a drink with this coupon. Know of any other deals? Tell us!